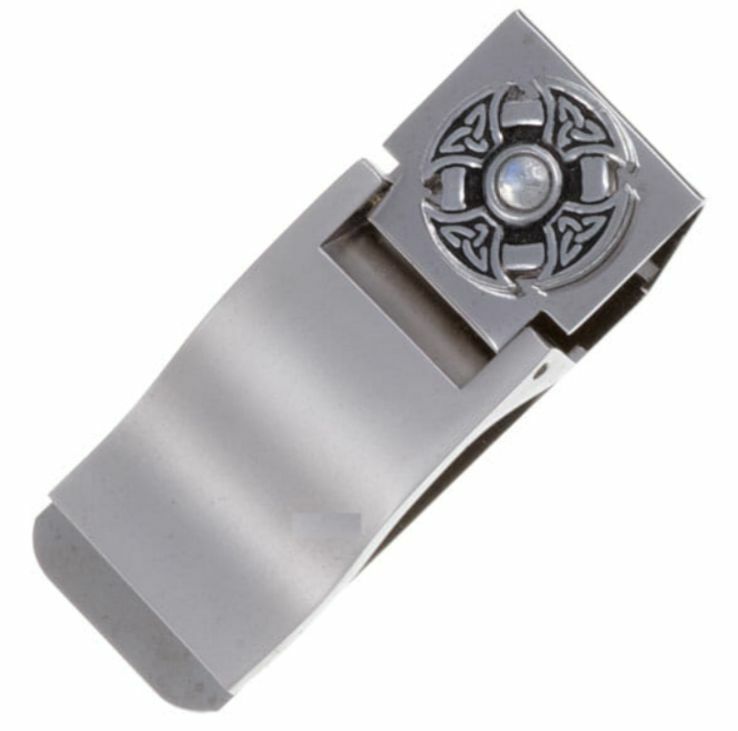 Each Moonstone Celtic Cross Knot Money Clip is exquisitely crafted in beautiful Stylish Pewter with a Nickel Plated Clip. They are quite sturdy and ideal for any family member. A superb, light-hearted and unusual gift with a lovely personal touch. 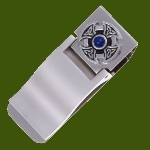 The Money Clip measures approximately 57.00mm (2.24 inches) x 22.00mm (0.86 inches) and has an Moonstone Cabachon Stone in the centre of the celtic knot. Supplied in a velvet gift pouch. This money clip is a perfect gift for any occasion. 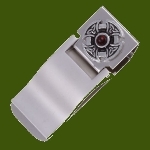 There are a few different styles of money clips available, please see my other listings and store for details. 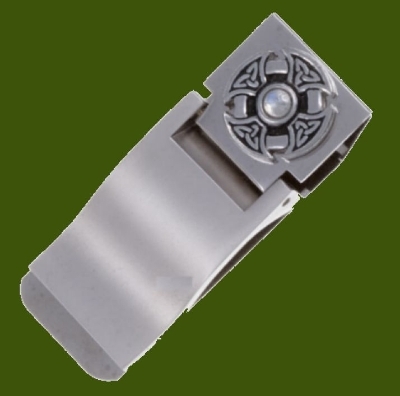 This beautiful money clip will provide anyone great satisfaction for carrying on their person everyday. Please allow sufficient time for your order to arrive. Questions welcome at anytime, my door is always open for assistance. For 800 years the Celts were the most powerful people in central and northern Europe. There were many tribes of Celts who spoke related languages,shared similar customs and beliefs, and created works of art in closely connected styles. Invaders, such as the Romans, eventually drove them from their lands, although they never managed to conquer all the Celts, with parts of Scotland, Wales, Cornwall and Ireland continuing under Celtic rule until about AD1100. It is in these lands that Celtic art and designs survived, carved into stone crosses and discovered on jewellery and ornaments. Religious scholars and monks adopted the traditions of Celtic art, creating illuminated texts such as the Book of Kells. The Celtic Cross evolved, with the circle that surrounds the cross symbolising the "great wheel of life" and knotwork denoting the binding of the soul to the world.